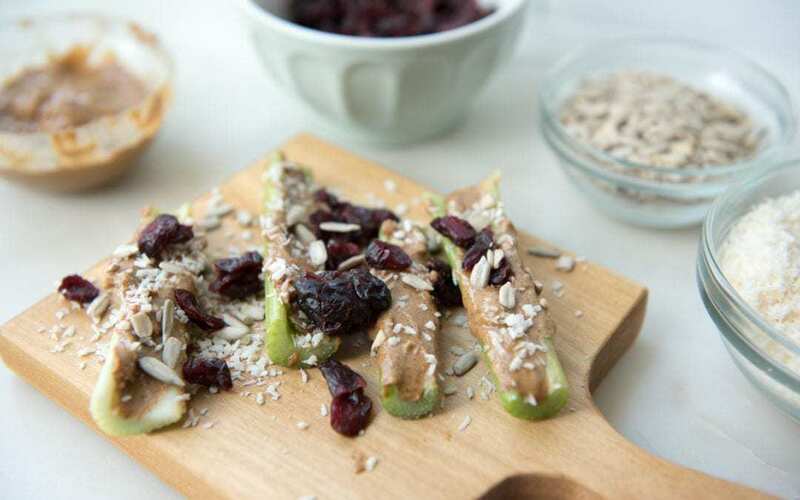 If you love the popular snack, ants on a log, you'll love this fun and elegant twist. It's Paleo, gluten-free, Whole30, dairy-free, and can be made nut-free. Ants on a Log is like one of those prerequisites for growing up. Like EVERY kids has to have it at least once. Not all might actually like it, but most do, and it's always a fun way to get your kids to eat something green. However, there are only so many times you can put raisins on top of some sort of nut or seed butter and call it the best snack ever. You get bored, right? That's where FANCY PANTS Ants on a Log come in 🙂 I originally made this as a snack for my kids to just change things up a bit and came up with the name on the spot as I served it to them. They laughed so hard (I think it's because they like anything that sounds like poopy pants) but the name stuck and here we are. I give a “recipe” down below that explains what we use for it, but you can use any toppings you'd like and go as crazy (and fancy) as you want. Caviar and truffles? Now THAT would be fancy. And kind of disgusting to be honest. Because it is elevated to this fancy level, it's great for an adult snack – like one you might not be embarrassed to eat in your cubicle. In fact, co-workers might be jealous. And if you make it for kids, let them choose and put on whatever toppings they want. They love being a part of the fun. It's also 100% Paleo, gluten-free, and can also be Whole30 compliant as long as you don't use cranberries that have added sugar. Or add a chocolate bar. Can't see the video? Watch Ants on a Log here. Cut the ends off of the celery and then cut the stalks into 3-4 inch sections. 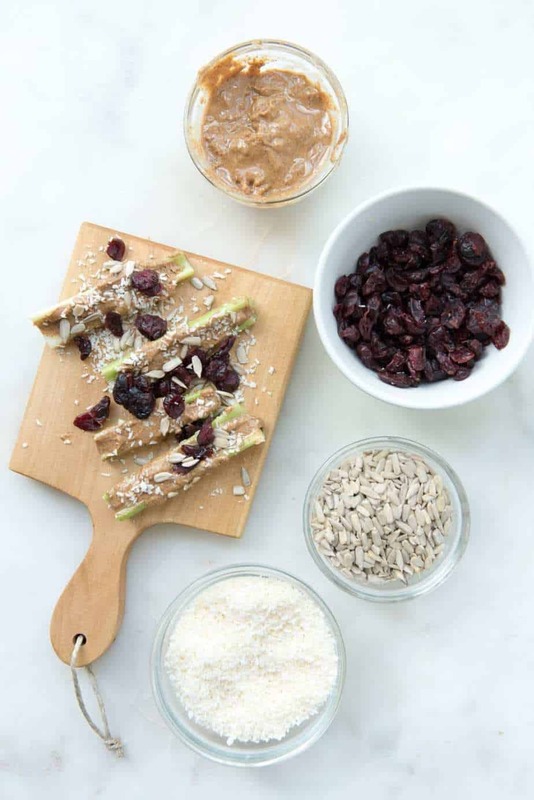 Add your nut or seed butter of choice. Add your preferred toppings and enjoy! I love this! Simple yet something I never would think of!! Thanks Jamie! It’s the simple things sometimes that seem fascinating, don’t they?